I needed a dish that was going to filling, quick and easy to make with enough to do at least 3 lunches for me at work and a dinner or 2 for the boy child. 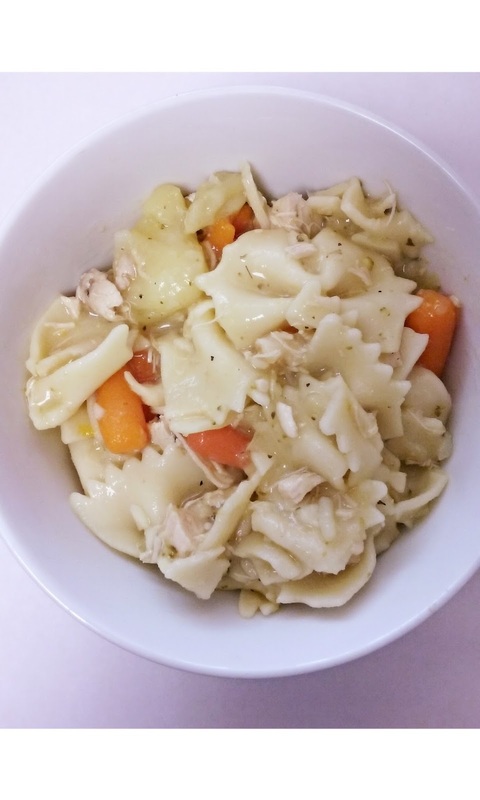 This Chicken and Pasta soup is ideal for all of the above and it made exactly what I needed. It's a yummy, syn free and filling meal, perfect for keeping me going until dinner time and for filling up the boy child before bed.